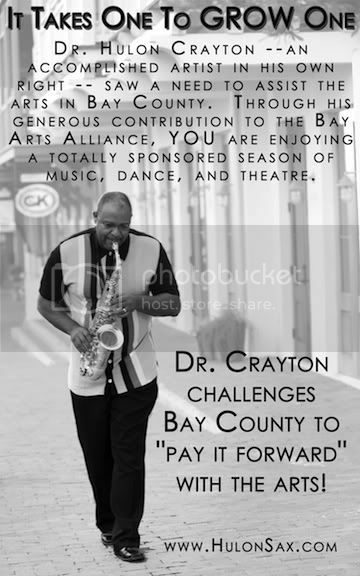 Hulon's Page - THE JAZZ NETWORK WORLDWIDE "A GREAT PLACE TO HANG"
Entrepreneur by day and sax player by night, Hulon (Dr. Hulon Crayton), is a philanthropist with a successful medical practice that currently lives the jazz life in Florida. 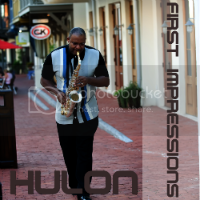 A long standing member of the group, “On Call,” Hulon has played in various venues on the Gulf Coast. In an effort to give back to the community, Hulon and his wife, Dinah, created the Crayton Foundation to assist in providing minorities with a feasible way to attain the funding needed to attend college. In understanding the challenges they faced as minorities to put themselves through school, Dinah and Hulon embarked upon a quest to help others reach their goals. Dr. Goodfoot” is one of those tracks that is just as fun to play as it is to listen to. I'm so glad the palpable energy we felt in the studio translated to the finished recording. I knew we were doing something right when I couldn't help but dance while playing this. Partially inspired by Grover Washington Jr.’s “Mister Magic,” this track should be accessible to all those who enjoy a funky groove and an upbeat mood. Check out my song "Follow Me"!!! Thanks for becoming a new friend Hulon. I'm new on here so don't know how to put my music up yet but I heard your first track & was very impressed with your serious playing & the high energy of your music...great stuff. I'll hear more once I get used to this cool site. Keep well. Thanks for your friend request. You have a beautiful sound! Send me a Facebook Friend request at facebook.com/mayhuebostic, thanks. Add me as a friend. Your sound is smooth your music hot and I just love the horns. Enjoyed listening to your music. Hope we cross paths in the future maybe hit a stage togather that would be kool!! Best of luck in your venture. Thanx for the invite, Great swinging music!! Good songs! Lots of succes to you. thanx for the friendship hope u enjoy the music drop by anytime peace! what an honor...mesmerizing instrument you have bonded with Mr Hulon..